Are you looking to customize Dri Fit T Shirts? That’s probably why you stumble upon this article! Lucky for both of us, we’re a dri fit t shirt printing supplier in Singapore. MEOWPRINT specialize in custom T-Shirts & Apparels printing and in this article, we’re focusing on one major type of material – dri-fit. 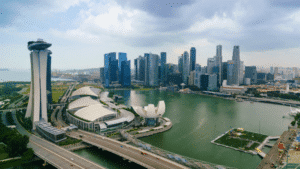 We have compiled a whole lot of information, all about Dri fit t shirt printing, to bring to you, the Ultimate Guide to dri fit t shirt printing in Singapore! This guide will be essential and will provide you all you need to know about customising your first dri fit shirts. Believe it or not, more than 50% of our apparels catalogue consist of the dri fit material. What does this mean? This means that you, whether as a reader or as customer, will have ample options to browse on our catalogue looking at different kinds of products which is made from these dri fit materials. 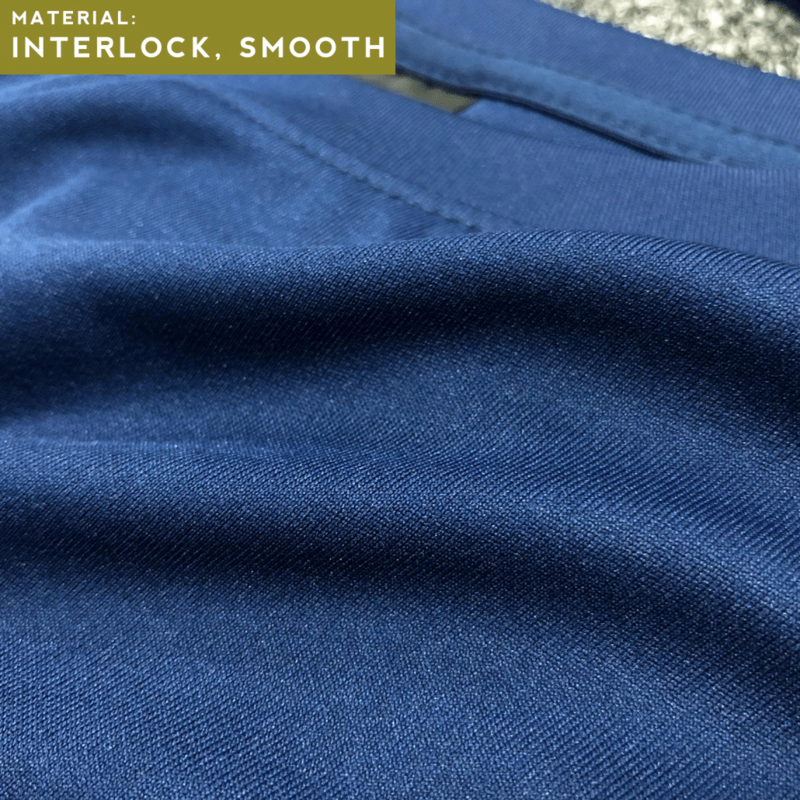 We also carry more than one type of Dri fit fabric such as the eyelet dri-fit material, interlock dri fit material, dry pique material, and a few more variety which will be discussed in depth later on in this article. In this article, you will also learn the different t-shirt printing services that can be used to customize the different types of dry fit materials. Let’s jump right into uncovering the Ultimate guide to dryfit tshirts! What is Dri Fit material? Why is Dri Fit Material so popular? What can you customize Dri Fit Shirts for? 1. What is Dri Fit material? In the first place, what is a dri-fit fabric? To put it simply, it is a polyester fabric that moves sweat away from the body, and then evaporates quickly. This will keep the wearer dry and more comfortable when doing outdoor activities. There are different range of dryfit materials from the basic range up till the premium high performance range infused with technology to make it better. 2. Why is Dri Fit material so popular? The 2 main materials in the apparel world would be cotton and dri fit. That is the simplest comparison between the top 2 materials in the T-Shirts world. Cotton is great, but we’ll leave the discussion on cotton for another article. In today’s world, dri fit material is getting more and more popular, especially in the recent trends of the fashion industry gearing towards being more sporty, having a term called Athleisure. On top of just being fashionable, dri fit fabric are great in terms of functionality as well. Top sports brand such as Under Armour has gain exponential popularity due to their fashionable, yet functional gears to wear globally. Due to their duality features in terms of fashion and functionality, we believe the popularity in creating apparels using dry fit materials will only continue to grow. 3. What can you customize Dri Fit Shirts for? There are many reasons on what you can customize dri fit shirts for. They can be used for different events, especially for sports and other outdoor activities. They can keep the wearer dry and comfortable. Dri fit shirts are also popular among Class Tees, Event tees, and also corporate apparels. Some also use it for their annual corporate retreat or Food & Beverage (FNB) uniform. Whichever purpose you customize your dri fit shirts, it depends on individual preferences on the different types of dri fit materials that are available for customization. As mentioned earlier, there are more than one type of fabric for dryfit material. They are many variety of fabric in the world, but we are going to focus on the few types that we focus and carry in our catalogue, which are available in the Singapore market. Check out the 4 dry fit fabric type that we focus on. 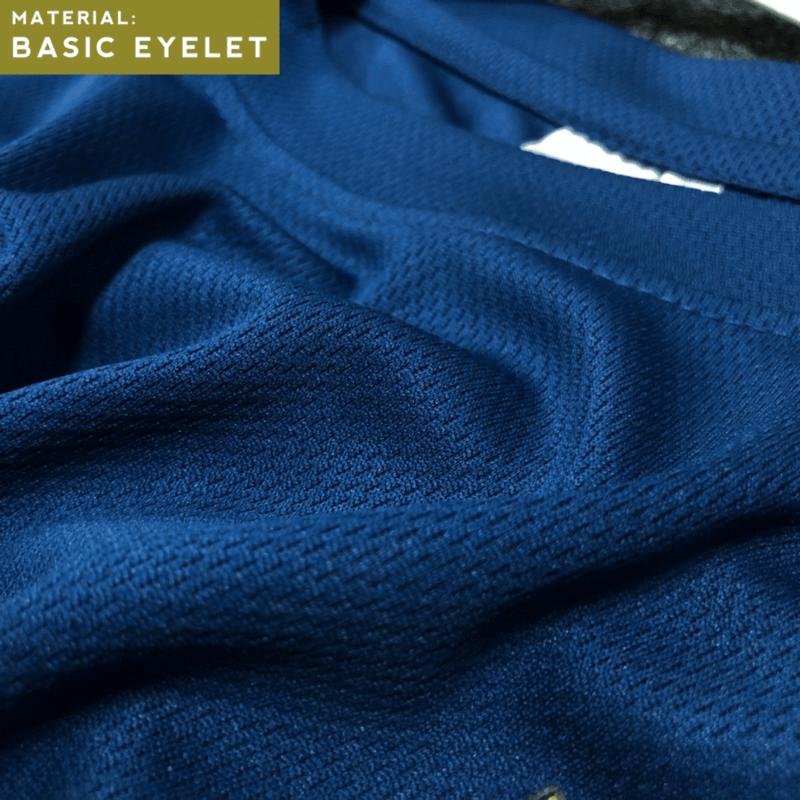 The most basic material in our dri fit range which you may be familiar with. It has an eyelet shape hole in the fabric which creates a breathable apparel. 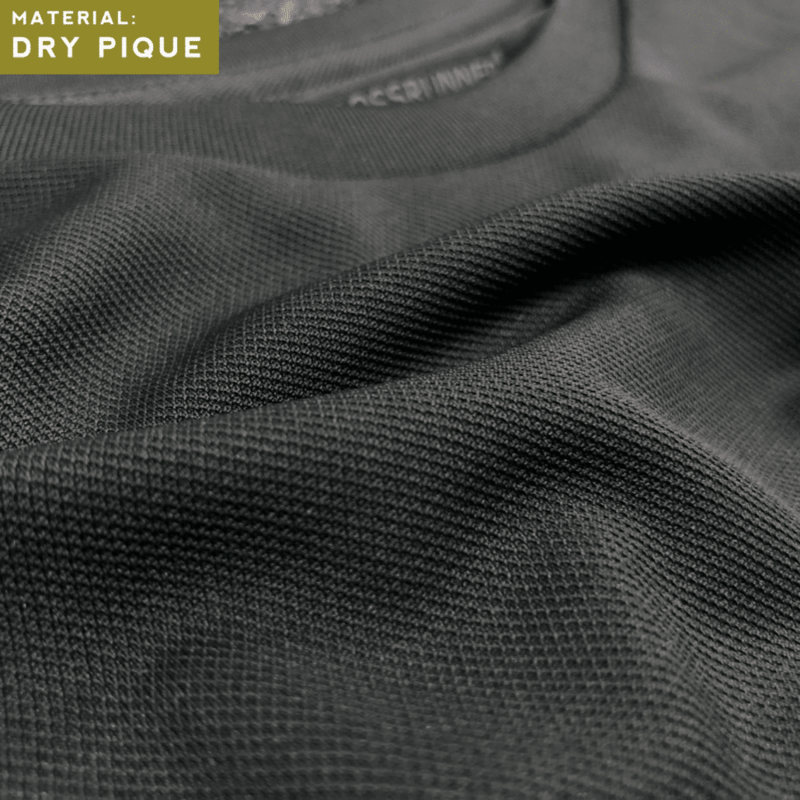 Our unique dryfit fabric which is similar to honeycomb material, but in the dri-fit version. It is typically sturdier and more rich in colour visually, yet soft and comfortable on the inside fabric which touches the skin of the wearer. This type of fabric provides what is provided in the name – coolness. The fabric has square shaped holes which allows the warm air to escape providing breathability for the wearer. This type of fabric is also very popular and smooth to the touch. Interlock meaning the weaving of the fabric is so tight that there is no holes visibly to the naked eye. It looks like a smooth fabric which provides a premium feel of the apparel. This is very popular not just in our catalogue, but also in top sports brand for their sports apparels. 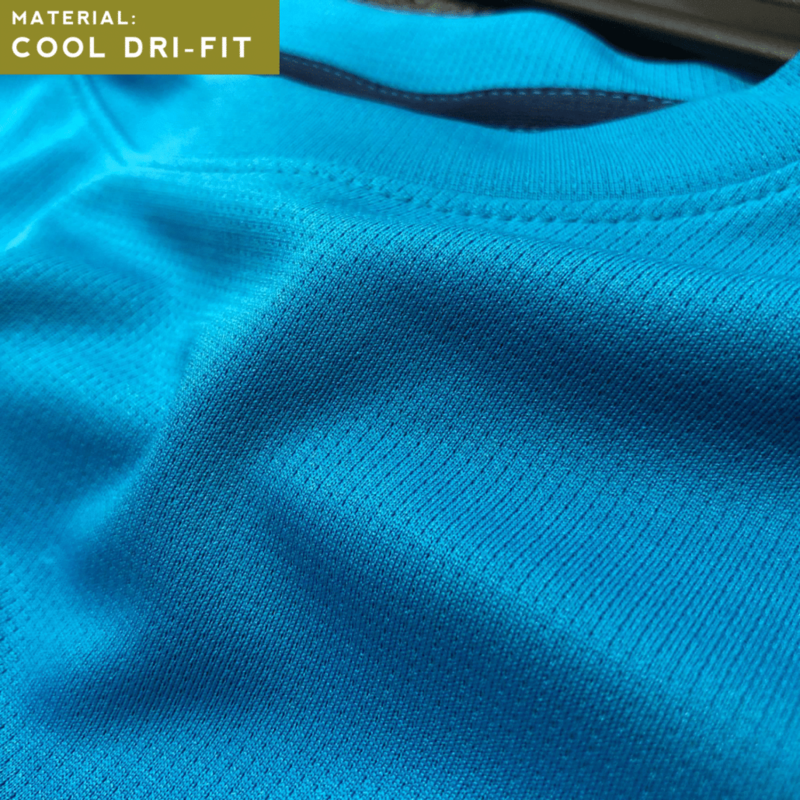 More than 50% of our catalogue are products made from dri fit material as mentioned earlier. They do not only come in T-Shirts, but also in other types of products such as Polo Tee, Custom Caps and others. Check out the available dry fit materials products below. When you browse any of the links above, you can find products that we carry for customization are made from dry fit material. Different terms can be used to describe that it is dri fit, such as microfibre, nylon and polyester material. These are similar dri fit materials which are made from different composition and best used in different specific products. At this point, we have learnt the different kinds of fabric available for dri-fit materials. We also have found out the different types of products that are actually made from dri-fit material. Now, you may have chosen the products you wish to customize after browsing our catalogue, but which printing services are suitable for the products that you have chosen? Let us explore. Custom-Made Dri Fit T-Shirts – You can definitely customize your unique dri fit apparels from scratch using our custom-made service. Choose from the different fabric types for your T-Shirts. You can customize the collar, cuffs, body panel and other parts of the apparel to your imagination. Silkscreen printing – These are ink being silk screen printed directly onto the surface of the products. This method of print is suitable for most dri fit products. The inks can be used for your team logo or designs, and can last for thousands of washes. They can be very cost efficient at bulk quantities. Save your money using silkscreen printing! Embroidery – Threads being intricated directly onto the apparels adds on class and professionalism. This method of printing is suitable for all dri fit products. Embroidery on dri-fit caps and corporate apparels such as Windbreaker and Hoodies is very popular. They can add class to your whole apparel. Digital heat transfer printing – This method of print is heat pressing a layer printed with your design, directly onto the products. This will be great if your logo designs have a lot of colors including gradient which are complex. This can be done on all dry-fit products. Sublimation printing – Only suitable for our T-Shirts and Polo Shirts at the moments, this unique method of printing is great for jersey printing. It gives you the flexibility for all over printing on your apparels. Direct-to-garment printing – Last but not least, this method if print can be done on any dryfit products. However we recommend the heat transfer printing method due to its affordability. Pricing for these dri fit shirts will depends on the different factors for customisation. Check out the factors that will affect the prices. Product – The type of product you choose will affect your pricing. Basic range of products in our catalogue will tend to be cheaper than the premium range items (such as patterned T-Shirts vs plain T-Shirts). For the cheapest dri-fit plain T-Shirt, we recommend our Basic Dri-Fit Round Neck T-Shirt. Quantity – Prices are inversely proportionate to the quantity. The Higher the quantity = the Lower the Prices. The Lower the quantity, the Higher the pricing. Type of Printing – Which type of printing method you choose or we recommend, will greatly depend on your logo. If your logo is simple, with just 1 color ink, then we will recommend silkscreen printing because they are cost effective at bulk quantities. If your logo has many colors, then we will recommend embroidery if the design is not too complex. We might recommend heat transfer printing if your logo is complex with gradient coloring as well. Don’t worry, our crew will definitely help you out to get you started! Size of Print – The bigger the print, the more the costing of the customisation. Try keeping your design smaller (10cm x 10cm) for the front left chest or sleeve logos. You may go for A4 size printing which is the standard size print for most of the customization we do! Number of Location of printing – If you have a budget, keep your logo printing to 1 location on the product. The more location of printing you have, the higher the cost of customisation will be. Most customers will customise t shirt on the left chest, the sleeves, the chest, or the back. These factors will play a part in the prices when it comes to customising your dri fit shirts. Do talk to us and see how we can fit in your requirements within your budget! We would like to show you an example of the pricing and how you can reduce your prices when it comes to customisation. We will use the Basic Dri-Fit Round Neck T-Shirt as an example. If you can see above, if you need to customise 50-59 pieces for your team or class, and your design is just a simple 1 color logo print. The pricing will be $6.42/pc nett. Cheaper than a Mcdonald’s value meal per person. Super affordable! Now if you’re organising a school camp or corporate run, and you increase the quantity to 180 – 199, it’ll be more than $1/pc cheaper at $5.11/pc nett! This is an example of how quantity affects pricing significantly for silkscreen printing. There are many different ways of how the different factors affect pricing. Therefore you can always use our instant quotes in our catalogue as a gauge to have a feel of the budget. Once you have a more complete information of your requirements, get in touch with our sales crew and they’ll be sure to help you out. We have shared with you our version of the Ultimate guide to Dri Fit T Shirt Printing in Singapore. If you have more information you feel is missing and can be beneficial knowledge, let us know in the comments and we can improve the article!